To continue with my Holy Week 2016 saga, we visited the Walkway: Reflections on the Stations of the Cross on Black Saturday. The art installatitons were put up by Church Simplified on Palm Sunday and was available for viewing until Easter Sunday. 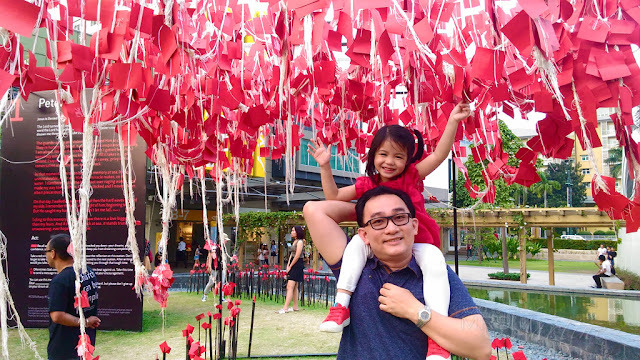 This interactive set up of 14 Stations is now on its 8th year and is located at the Bonifacio High Street, BGC in Taguig. I am beginning to love Bonifacio Global City (BGC) because it has wide open spaces where children can run around and play. My daughter loves the area too! 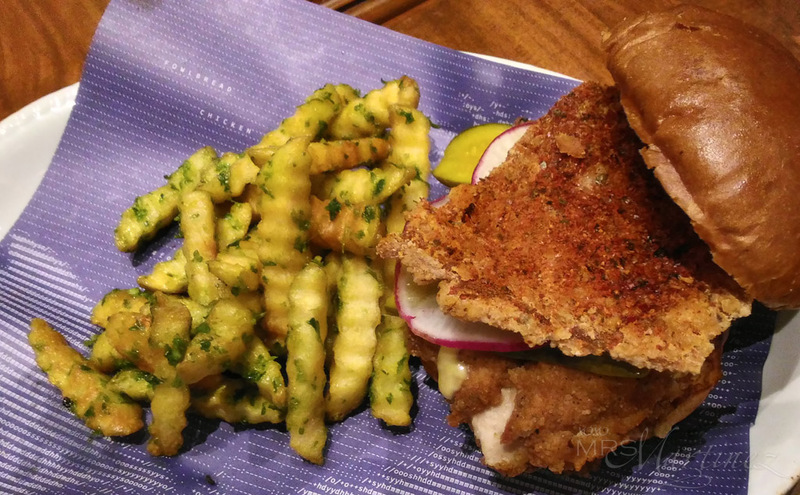 For dinner, we went to BGC's newest restaurant called FowlBread. Don't let the nondescript facade fool you, the restaurant serves great, delicious tasting food (Chicken Sandwich) albeit limited food choices. We didn't know that it has a tiny air-conditioned dining area at the back that can accommodate 12 pax max until one of the staff pointed it out. There were only 5 choices on the menu- Chicken Sandwich (choose from Safe, Spicy or Chemical), Potstickers (6 pieces) Php 190*, Garlic Noodle, Banana Donuts Php 140 and Fries (Garlic Fries Php 120; Salted Fries Php 85). There were a lot of alcoholic and non-alcoholic drinks available though. We already had donuts so ordering Banana Donut was out of the question, we ordered FowlBread's crispy and juicy Chicken Sandwich with Garlic Fries and Garlic Egg Noodle instead. That's fried and crispy chicken skin you see on top of the pile of veggies. The chicken was tender and juicy. I love every crunch that I heard every time I took a bite of the chicken sandwich. It was so addicting! The main drawback is the Garlic Fries. Some were already soggy when it was served to us. Too bad the Tiger Prawn was not yet available or we would have ordered it together with the Garlic Egg Noodle. 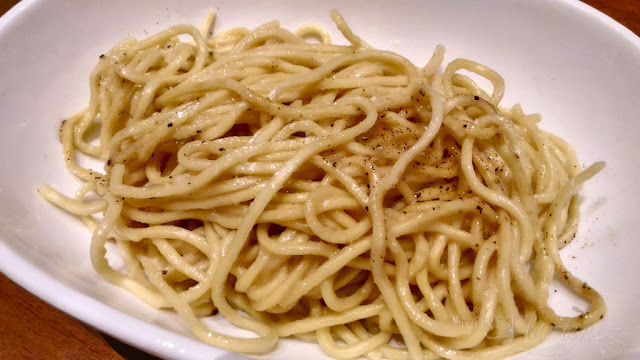 Don't get me wrong, the noodles were very tasty and yes, garlicky. My family and I will definitely be back. Most likely we would order the same items and hopefully, we get to try out FowlBread's Banana Donut and of course, those Potstickers (dumplings). FowlBread is located at Bonifacio High Street, Bonifacio Global City.